I ventured out yesterday to go to school. I had a few things to do before school was back in session today. I got my work done in good time and headed home. 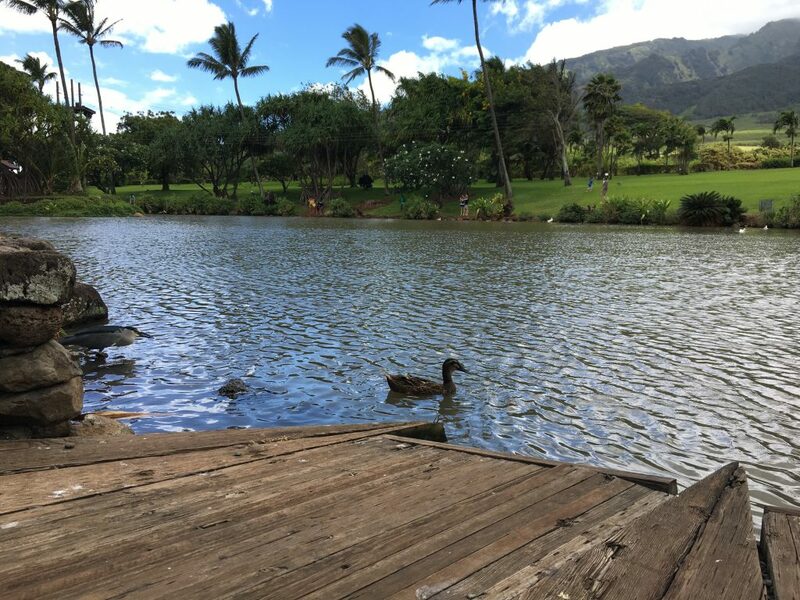 On the way back, I stopped at the Maui Tropical Plantation to feed the fish. It’s been a long time since I visited there. It was a cloudy day, so I went to far side of the pond to sit on the little deck thing that goes up to the water. There were lots of happy tourists there yesterday. It was a pleasant atmosphere. See the kingfisher in the left side of the picture above? 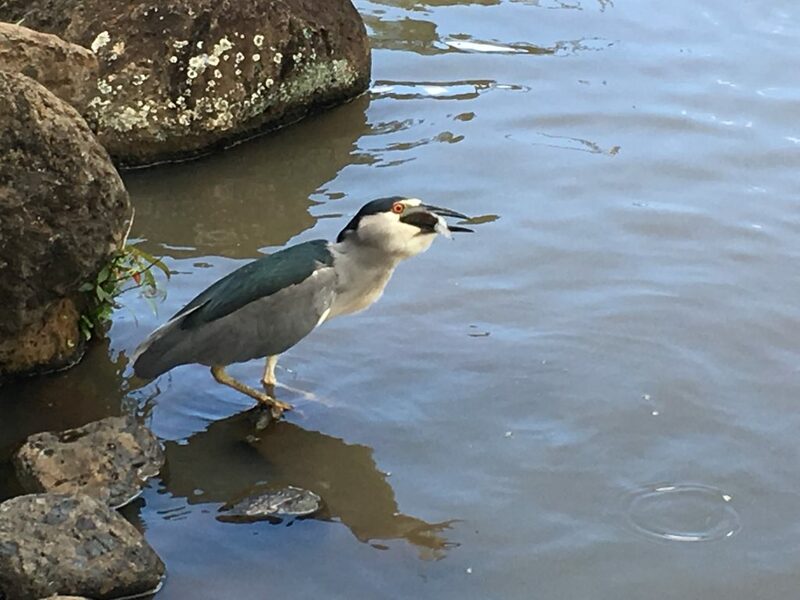 I like to look for them, then feed fish right in front of them. I hope to see them catch a fish. Yesterday I saw it! 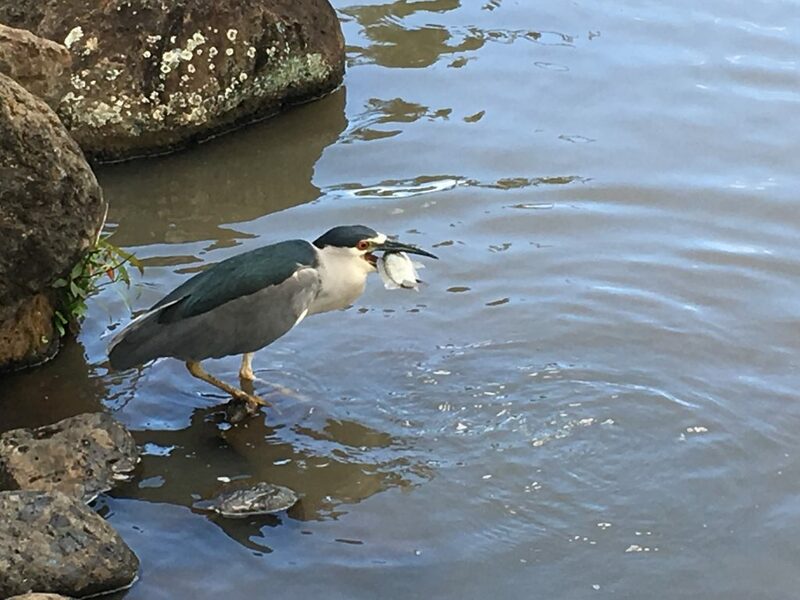 The bird caught a fish. Yay! Look at that beautiful sky with the billowy clouds!